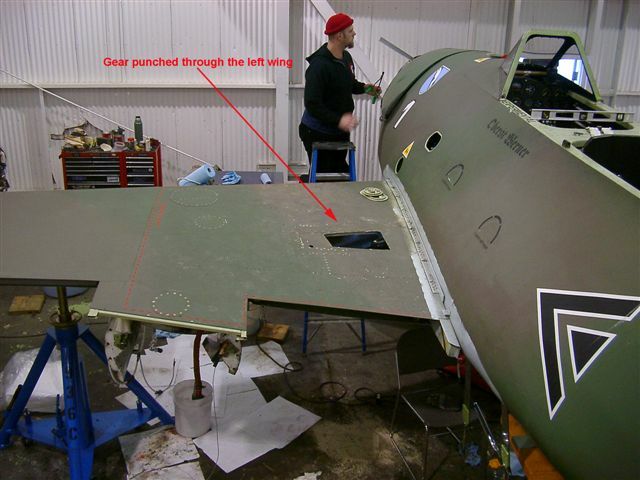 Today I ventured over to the Me262 project hangar to survey the recent damage. Much to my surprise, the aircraft didn't look bad at all! 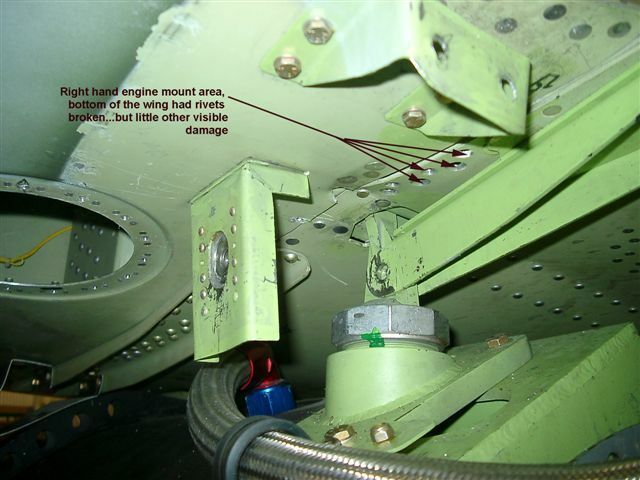 I had expected the nose to be crushed, the wings to be bent, and the engine nacelles to be torn off. That was NOT the case. 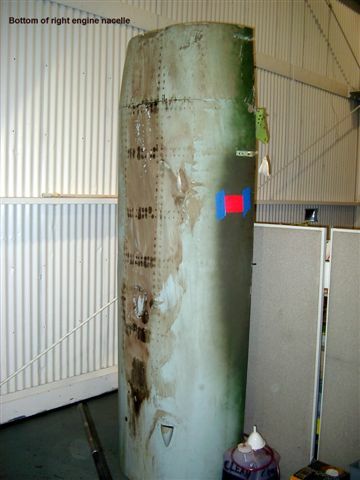 I imagine there could be considerable damage under the skin, but overall I was amazed at the lack of visible damage. 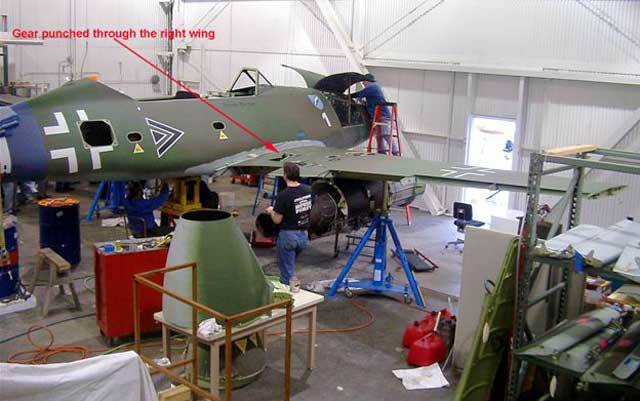 This could be attributed to the fact that the Me 262 is skinned in mild steel and has a steel main wing spar. 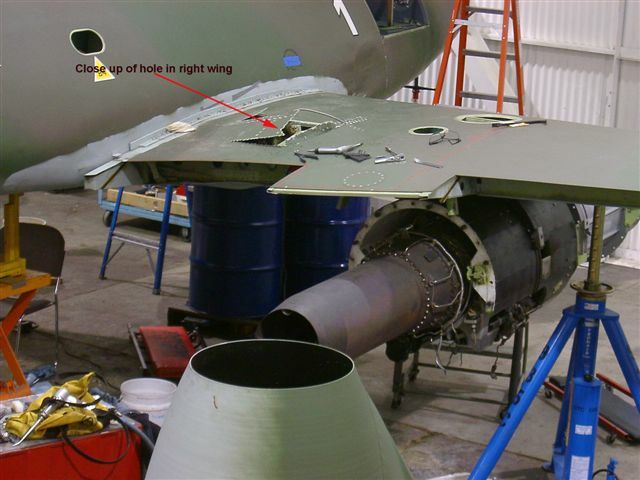 All of the wing sheet metal will have to be removed, most likely, before the interior damage can be assessed. 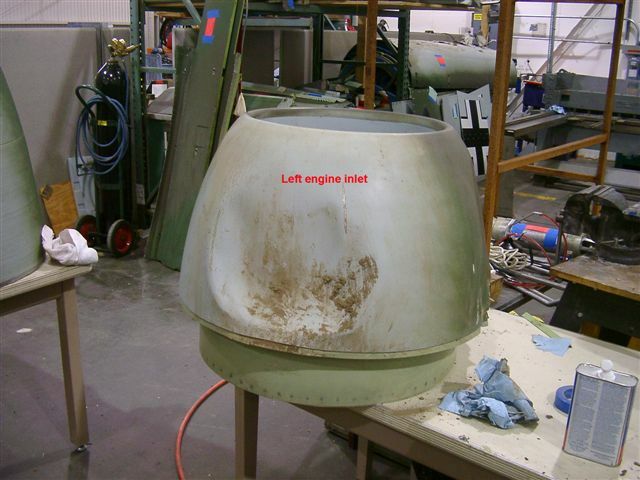 The right engine nacelle took the brunt of the damage, as it is the part of the aircraft that hit the concrete utility blockhouse (not a concrete block, as I was told earlier). 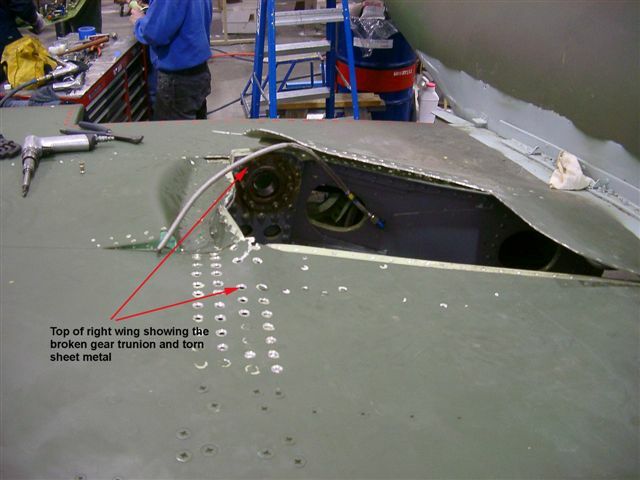 Damage to the wings will require that they go back on the wing jig. 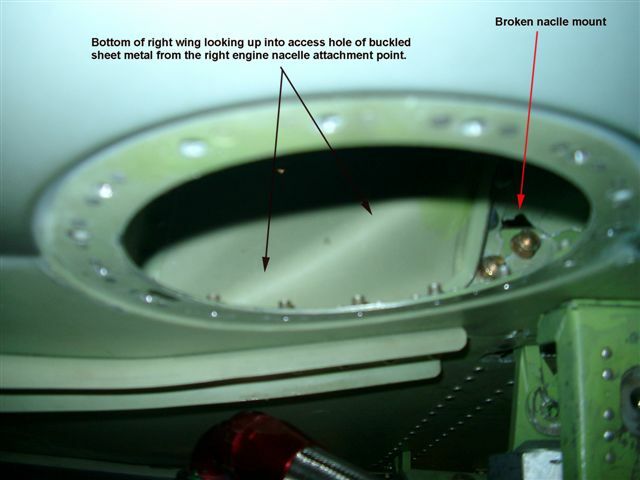 All of the landing gear will have to be replaced, and both main gear attachment points will require repair. 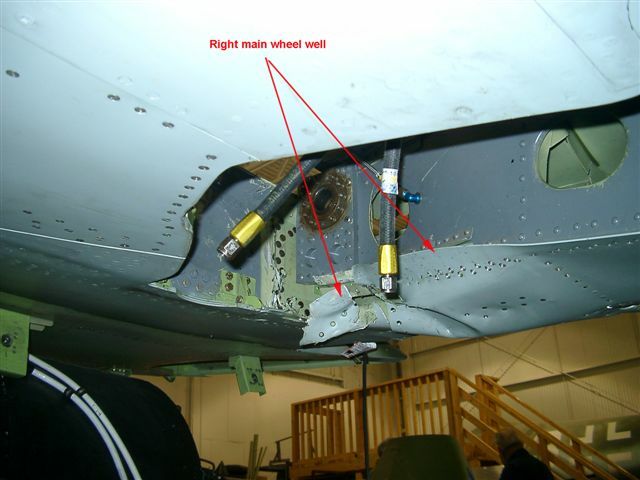 The nose gear assembly was almost twisted off and could be a challenge to fix. 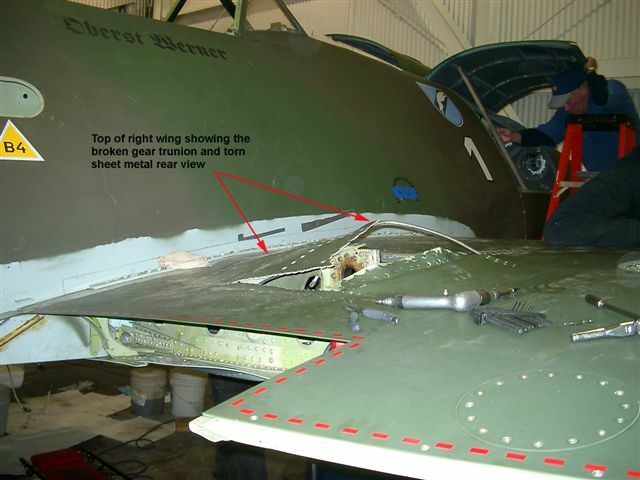 The forward two feet of the bottom-right side of the fuselage at the wing leading edge will also need attention. Without going into the left engine with a scope and a NDI, it looks to be in pretty good shape. 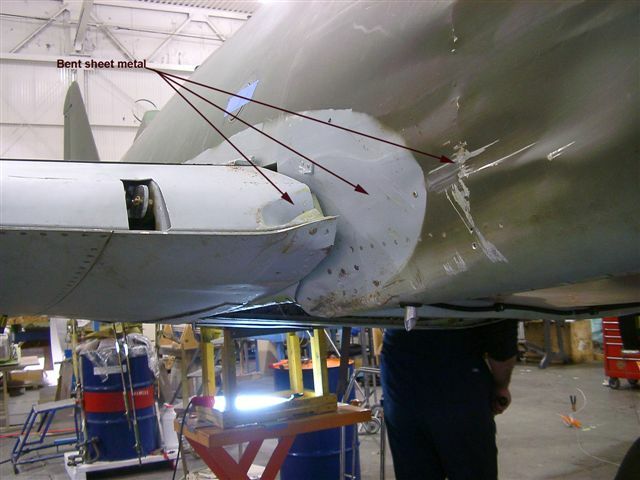 There are some FOD nicks on a few of the blades that will need to be removed. 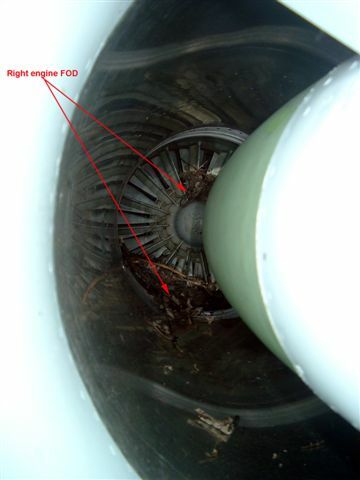 The right engine is another story; its condition has not yet been assessed. 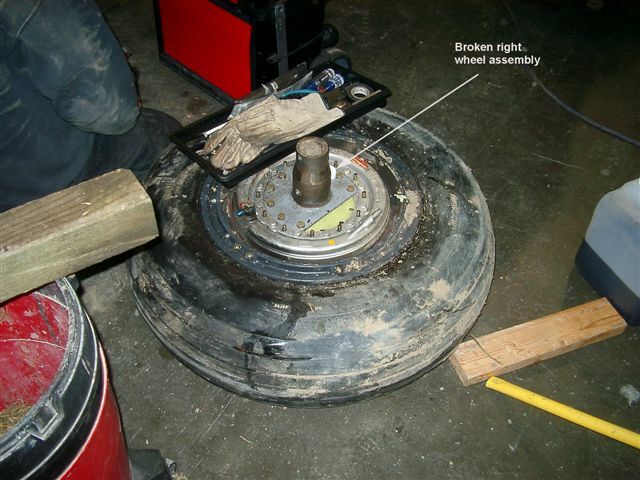 The problem with the landing gear may turn out to have been caused by a blown fuse, which was discovered after the aircraft was returned to the hangar. 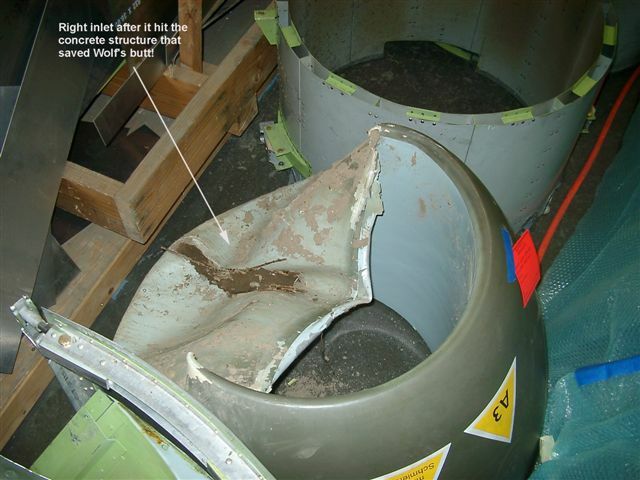 What blew the fuse is unknown at this time, and why the gear collapsed is still not known. As I know more, so will you! 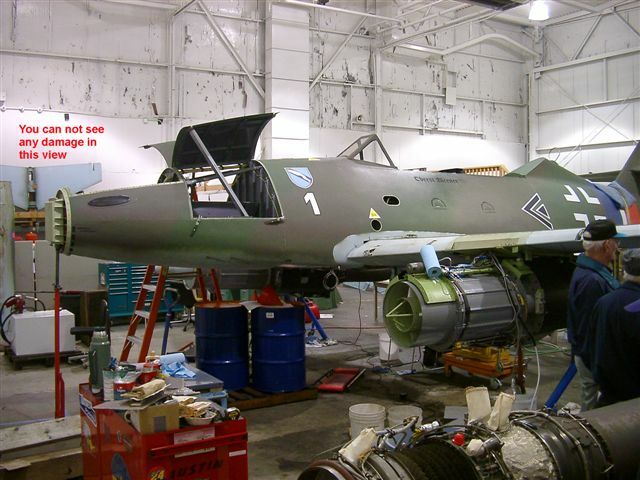 Other than the above items and cosmetics, the Me 262 seems to have come out of its recent "mishap" exceedingly well!